DaBeeo (CEO Joo-heum Park), a mapping technology startup, has received 2 billion Won from the Mirae Asset-Naver Fund and 500 million Won from SJ Investment Partners in investments. This marks DaBeeo’s third investment attraction after its first in 2015 by Angels Venture Partners and its second in 2016 by the Seoul Industry Promotion Agency. 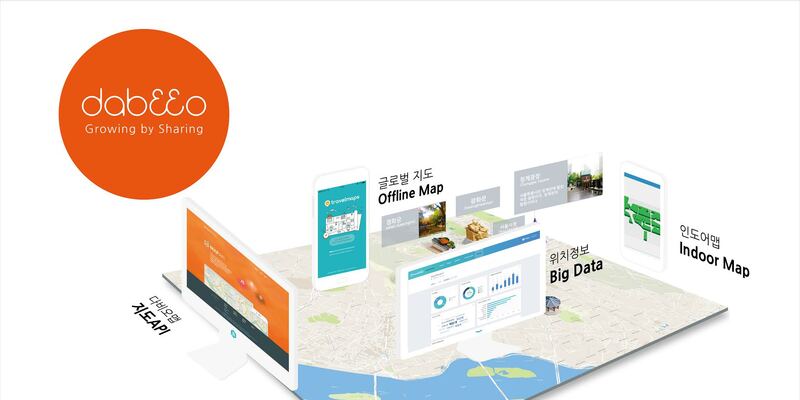 Since its establishment in February 2012, DaBeeo has been providing mobile map services, map APIs and location-based big data services. Since 2015, the company has expanded its indoor map area to provide map solutions for famous domestic complex malls such as Starfield Hanam and COEX. CEO Joo-heum Park commented, “We will accelerate our ongoing research and development activities likethe technology for building the next-generation mapping data, indoor guidance, and control system required for autonomous mobile robots.” DaBeeo will be able to commercialize the navigation technology required for autonomous navigation robots and vehicles in by early 2018, and it expects it to be competitive in the overseas market as well.